Home } Papercrafts } Happy New Year! I’m back! I didn’t have any time or energy to make cards during most of December. Handcrafted Christmas gifts I needed to finish, hysterically much to do at work. When I sat down today to make this card, I felt so happy! 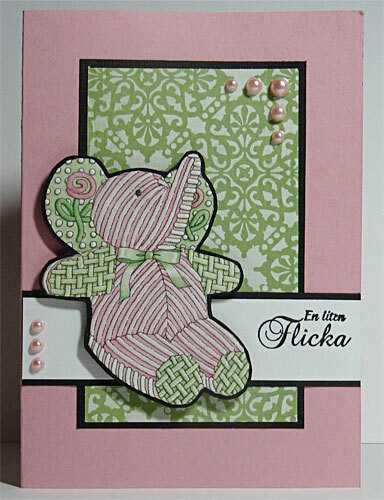 There are not words to explain how much I love cardmaking and how I had missed it. So, the first card of the year is a Happy New Year card, in all white and silver. 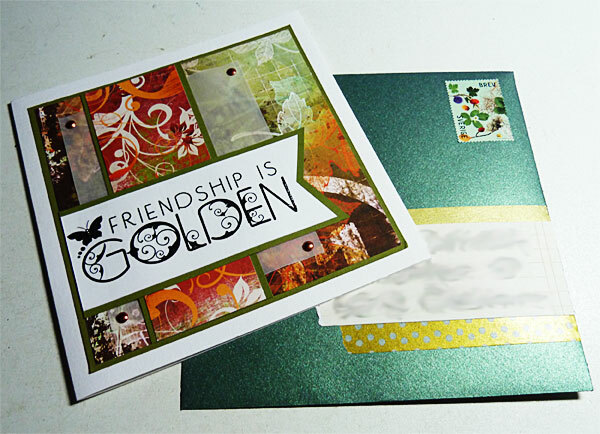 The text stamp is from a Christmas clear stamp set from YouDo. Stars are from a clear set I bought second hand via a Facebook group, and I have no clue what brand it is. 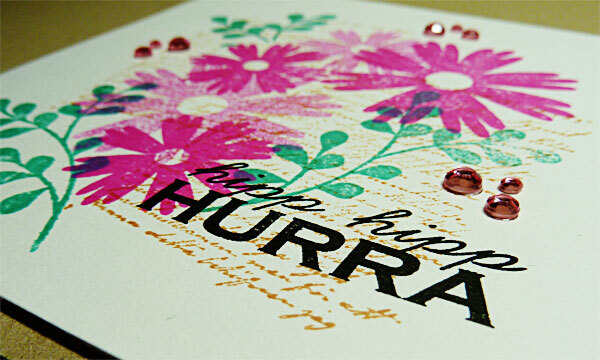 I used silver embossing powder for text and stars, and adhered some of the stars with 3D mount to give some dimension. creamaria, January 4, 2017. 7 Comments on Happy New Year!. Category: Papercrafts. 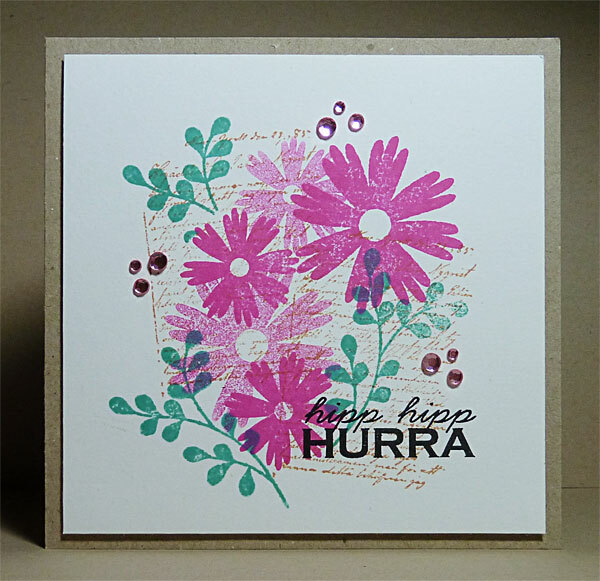 Tagged: AAA Cards, Cards, City Crafter, Clean & simple, Inkspire Me, Kortskissen, Less is More. Here’s the first card of the day. 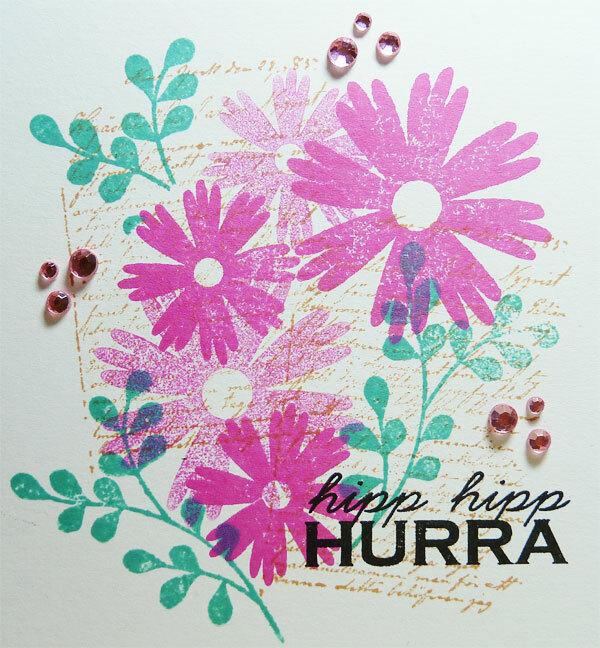 I’ve used white vellum with glittery wintery swirly print, banners cut out from Maja Design papers, a white glittery snowflake made with a Martha Stewart punch, and a “Have A Wonderful Christmas” sentiment stamp that is my design for Skapa Hobby. It’s always tricky to adhere vellum without the glue or tape shining through. I rather use a thin tape all along the edges, to make it looking a bit like a border, than to add small dots of glue/tape. 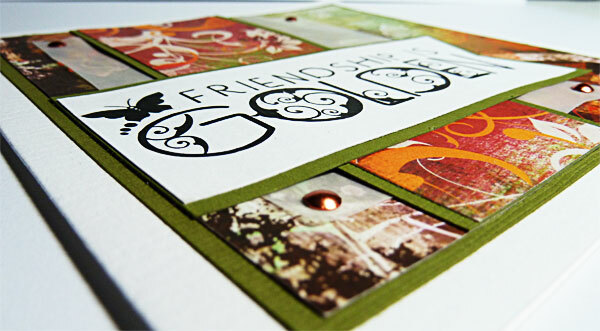 I’m very thankful for Less is More’s challenge #299, to use vellum, as I hardly ever do that. 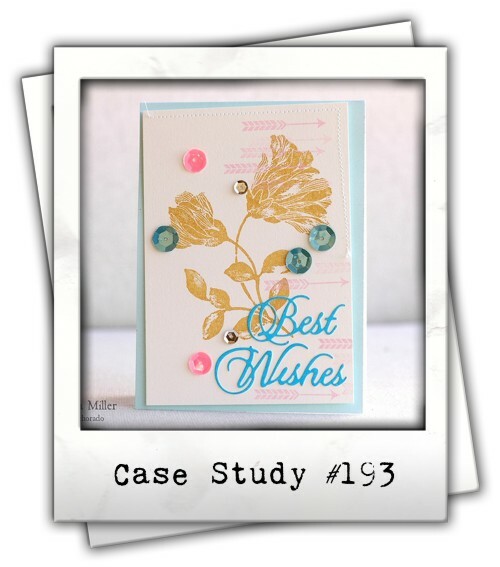 I was also inspired by Jenni Murray‘s card at Muse challenge #188. I wanted to make mine in the same colors as hers, but I didn’t find any suitable turquoise or light blue papers. creamaria, October 24, 2016. 4 Comments on Have A Wonderful Christmas. Category: Papercrafts. Tagged: Cards, Christmas, Clean & simple, Less is More, Muse, Skapa Hobby. Home } Papercrafts } One more! The Halloween stamp is from Vilda Stamps, and the ghosts are a stamp I designed for Reprint Artstamps ages ago. creamaria, October 17, 2016. 7 Comments on One more!. Category: Papercrafts. 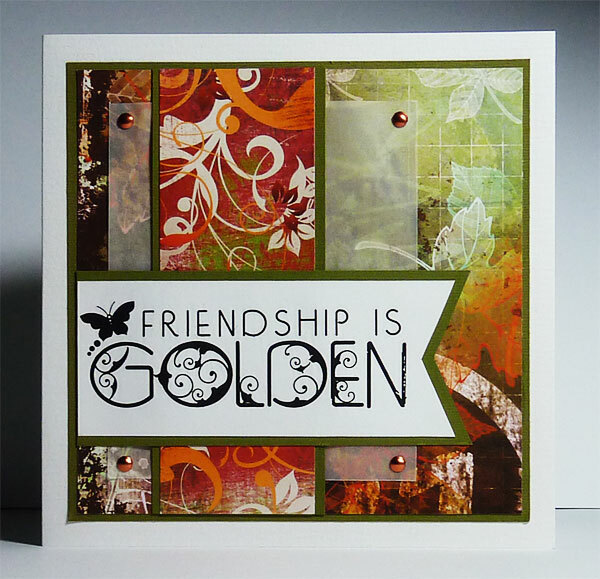 Tagged: Cards, CAS Colours and Sketches, CAS-ual Fridays, Clean & simple, Halloween, Less is More, Simply Create Too, Stampin' Royalty. creamaria, September 8, 2015. 5 Comments on Green and gold Christmas. Category: Papercrafts. Tagged: Cards, CAS(E) this Sketch, Christmas, Clean & simple, Less is More. creamaria, August 31, 2015. 9 Comments on A splash of blue. Category: Papercrafts. Tagged: Addicted to CAS, Cards, CAS on Sunday, CAS(E) this Sketch, Clean & simple, Less is More, Shopping Our Stash. 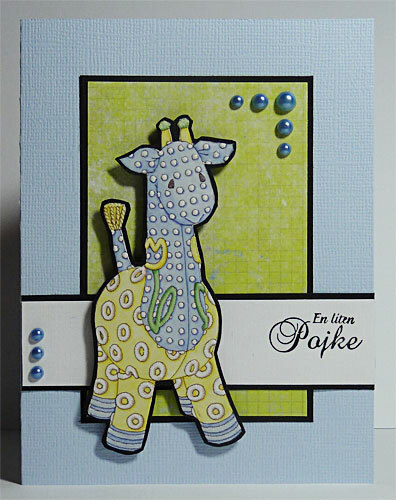 Here’s my card for CAS-ual Fridays #142, to use pretty patterns, and for Less is More #238’s sketch. creamaria, August 27, 2015. 5 Comments on Pretty flowers. Category: Papercrafts. Tagged: Birthday & Congrats, Cards, CAS-ual Fridays, Clean & simple, Less is More. This card is made for three different challenges. At Less is More #237, the theme is congratualtions (which the Swedish word “Gratulerar” means). At CAS on Sunday #65, you should use vellum. 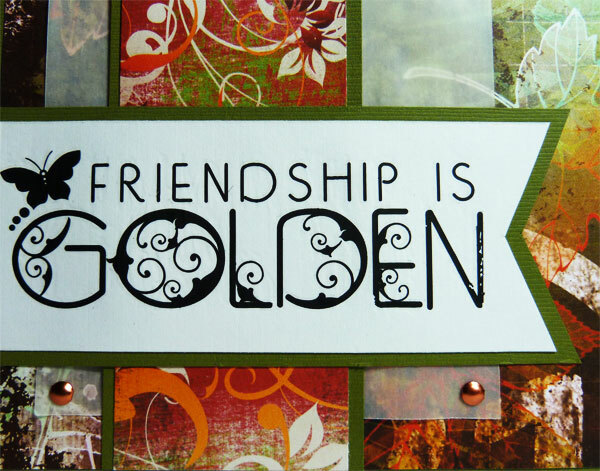 I stamped and gold embossed the greeting on a layer of gold and white printed vellum and adhered it to the white background. The third challenge is Retro Sketches #177.
creamaria, August 20, 2015. 5 Comments on A golden congratulations. Category: Papercrafts. Tagged: Birthday & Congrats, Cards, CAS on Sunday, Clean & simple, Less is More, retrosketches. So, this card is for two different challenges. First challenge is the colour challenge “Autumn Bounty” at Less is More. Except that I forgot to keep the card clean and simple… duh. Or maybe it qualifies for less is more anyway? I did cover the card with designer papers, but it’s got clean lines and no embellishments at all except for four tiny brads. 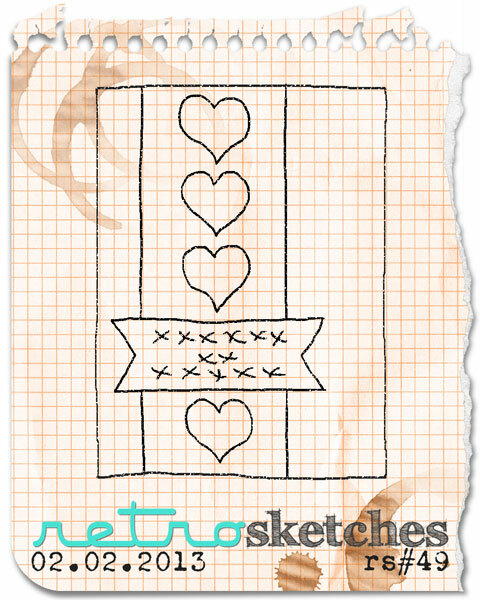 The other challenge is at Retro Sketches, where you could choose any past sketch. I chose sketch #49, from February last year. Now looking at the images afterwords, I realize that I should’ve adhered the sentiment piece with 3D dots, to create some more depth (I actually did that on card #2, which I haven’t taken any photos of though). This card is already mailed, so no chance to change it now. creamaria, October 9, 2014. 2 Comments on Friendship is golden. Category: Papercrafts. Tagged: Cards, Less is More, retrosketches. For the first time ever, I participate in several card challenges with the same card. Usually I make one card for each challenge. So it was kind of an extra challenge to make a card suitable for three challenges. 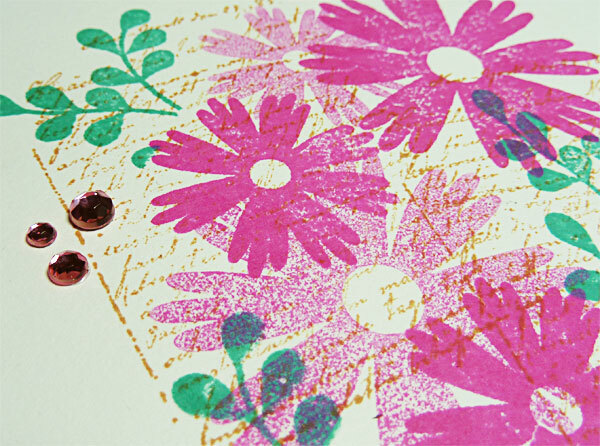 And third is Less is More #174, to use more than one stamp. And here we go, the card! creamaria, June 2, 2014. 11 Comments on Three challenges – one card. Category: Papercrafts. 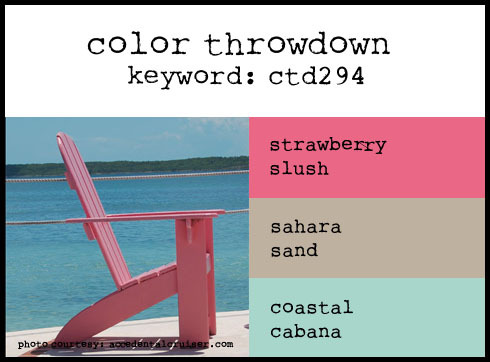 Tagged: Birthday & Congrats, Cards, CASE Study, Clean & simple, Color Throwdown, Less is More, Slöjd-Detaljer. This week’s challenge at Less is More has been New Baby. 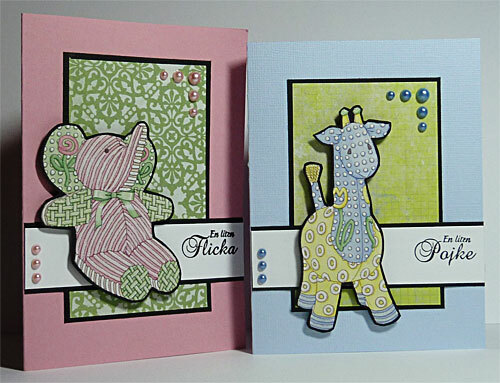 I made two similar cards, as I happened to have two stickers left from an old K&Co stickers set. One for a baby girl and one for a baby boy. creamaria, January 24, 2014. 1 Comment on Baby cards. Category: Papercrafts. Tagged: Baby, Cards, Less is More.